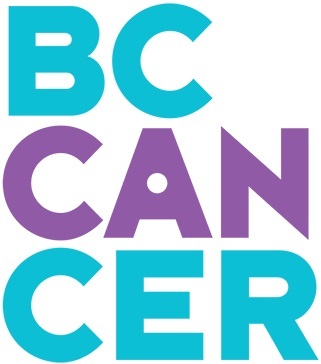 Adapted from the BC Cancer Agency’s handbook Cancer and Returning To Work: A Practical Guide for Cancer Patients. Understanding the tasks required in the employee’s job and then comparing these duties to their work functioning is part of determining whether they are ready to return to work and recommending any needed accommodations. We provide a helpful tool, the Cancer and Work Task Analysis Worksheet, which the employee and employer can work through together. This tool can be used to analyse tasks from a job the employee is returning to or a different job the employer offers as an accommodation. Note: If you will return to a new/different job, fill out the Analyzing Job Duties form for the changed duties. 1. List the job tasks: Using the Task Analysis Worksheet, enter in the Job duties column all the tasks required for the job that your employee will return to. Consider all of the duties and responsibilities of the job and the contexts in which the employee does them. Get the Task Analysis Worksheet! By completing this short fillable PDF, you’ll discover the work tasks the employee can do and those that are more challenging. This can help inform your employee’s discussion with their healthcare provider and help in identifying job accommodations to allow them to return to work. View an example completed form below, or download an example completed form as a PDF. Note: To fill out the form on your mobile device (ex, iOS, Android) you will need the free Adobe Acrobat Reader app. 2. Estimate the time each task takes: For each job task, ask the employee to estimate the percentage of time that they spend doing the task. For example, if they are a food server, they may spend 3.75 hours or 30% of each shift clearing tables. If they do periodic tasks over the month write them in, for example: taking inventory 4 hours a month or .025% per month. Could the task be given to another employee/employer? How much time does the employee spend doing the task? How does the task affect getting the job done? Do the tasks exist to get the job done? How does the employee finishing this task affect the performance of other employees? Is the job highly specialized? If the employee is unable to do the task, what will happen? Which tasks does the employer think are essential? 4. Rank the tasks from most to least important to the job. Scroll down for an example of a completed form. Note: If the employee will be returning to a different job, fill out the Task Analysis Worksheet for the changed duties. You can also download this example as a PDF. Continue completing the chart to identify all of your job tasks. One of the simplest ways to determine the demands of a job is to consider what the employee does every 15 minutes. However such an approach is very basic and does not give details such as the job’s physical, cognitive and psychological demands, and the working conditions. Nor does estimating a typical workday identify the essential and non-essential tasks required in the job.